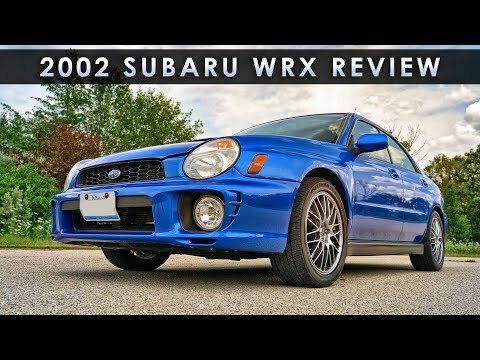 2002 Subaru Impreza turbo WRX. Limited edition bug-eye headlights. Extremely reliable. Great in any weather conditions, including blizzards. 4 wheel drive ability got me safely home during a “snow cane” last year and it easily makes it up my long, steep driveway which becomes a sheet of ice in the winter. It is extremely comfortable with racing seats. It gets awesome gas mileage, about 25 mpg. The brakes and gas are both very sensitive, making it easier and safer to drive. I love the precision steering. The entire car is extremely roomy, fitting up to 5 people as well as all of my bags and purses and my boyfriend’s large amount of tools. The trunk provides room for pretty much anything and everything- I even fit a queen size mattress in it once. Overall, it is an extraordinarily safe, reliable, comfortable, and economically great car, and still runs like a dream despite being upwards of 10 years old. 2002 bugeye rebuilt and no problems. If you take care of the car it will last a while. When I bought mine the previous did not take care of it so I have had to put some money into rebuilding it. Since the rebuild there have been no problems. I know people since I have had my car that are big in the Subaru community. They have cars with 200, 000 miles on the original motor with no major issues in the car. If you take care it will at least last to 200, 000. Perfect combo: Subaru Impreza Outback. Mine is an Impreza Outback sport and I love it. Power windows and locks. It has a hatchback with a pullout cover to conceal anything in the back. Fold down seats to add room to the car when moving. I get an average of 300-350 miles to the tank and usually fills up for $30. It has the space of a Forester, but sits more like a car. It has AWD. I would highly recommend this car to anyone looking for a new car.